Vipers are snakes distinguished by their large, movable fangs, and many different species are found throughout the world. 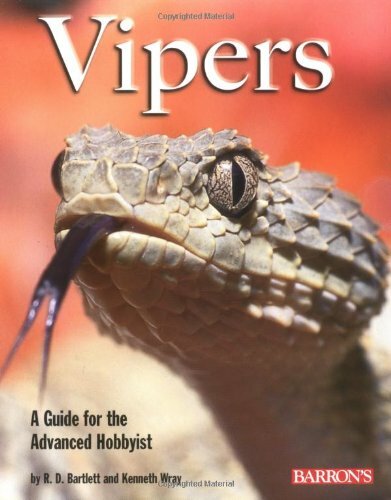 Here is expert guidance on care, housing, and breeding of this often dangerous group of snakes. Heavily illustrated with vivid color photos and instructive line art, this book was written by one of America's leading experts on reptiles and their care. Experts on the care, breeding, housing, and handling of reptiles offer guidance to advanced hobbyists on every important aspect of care of these often dangerous snakes. The text is supplemented with full-color photos and instructive line art.